Following requests from residents who own the lane behind the houses in the Big Street, the area at the end of the street has been closed to through traffic and re-graded. 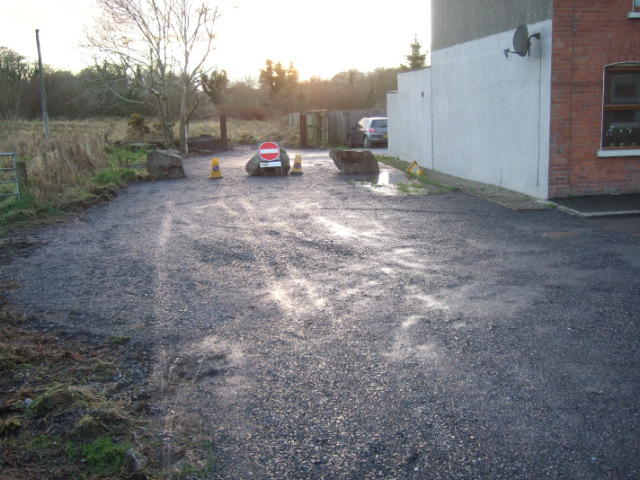 Years ago the council had placed large stones at the end of the street, but these were moved when the Edenderry Cottages Development was built however the developers did not replace the stones. 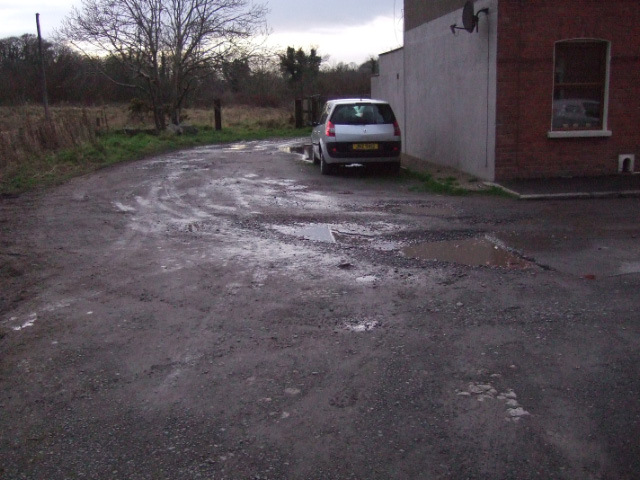 This lane became a through road for many cars, taxis, lorries etc. effectively turning the terrace into a large roundabout. Improve safety for the residents and village children. 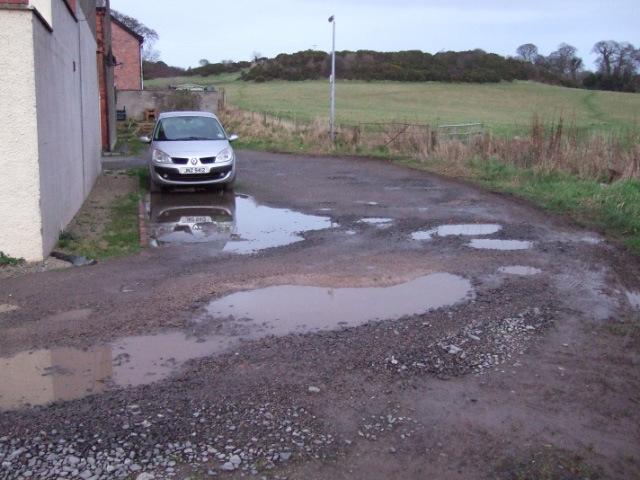 Remove the large potholes and provide water run-off. The plan was to resurface and compact the area. 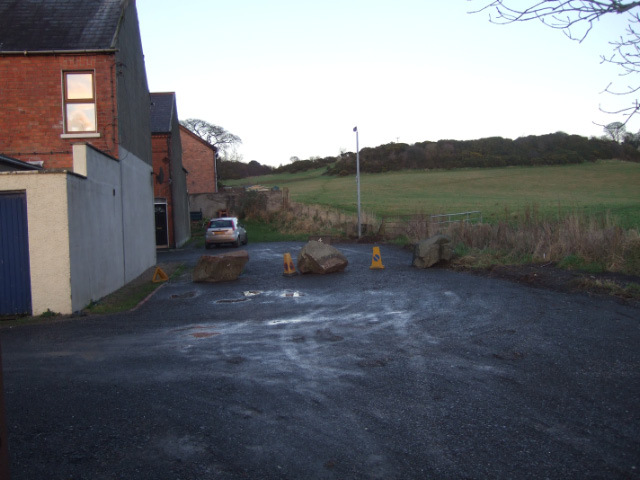 Also to re-place the large stones to stop the traffic travelling down the lane behind the houses. Photos of the area after the works. I’m writing this only a few days after the work has been completed. The vast reduction of through traffic was immediately apparent and the speed of the traffic in the lane has also been reduced. Together this has created a safer environment for everybody. It should be noted that the residents affected by the improvement collectively paid a large donation to the Association. Aw no way those pot hole were so much fun to cycle through! Especially after a big shower of rain!! !